It was a beautiful New Year’s Day so we took off on a cross-country, very scenic drive to lunch in Sandusky. As part of the return journey, we paid a visit to the Lake Erie shoreline and stopped at a couple of parks. Enduring strong winds and freezing temperatures was easy as scenes of wind-driven ice piled on beaches, dark waters, and blue skies inspired me. I wasn’t the only person exploring, however. 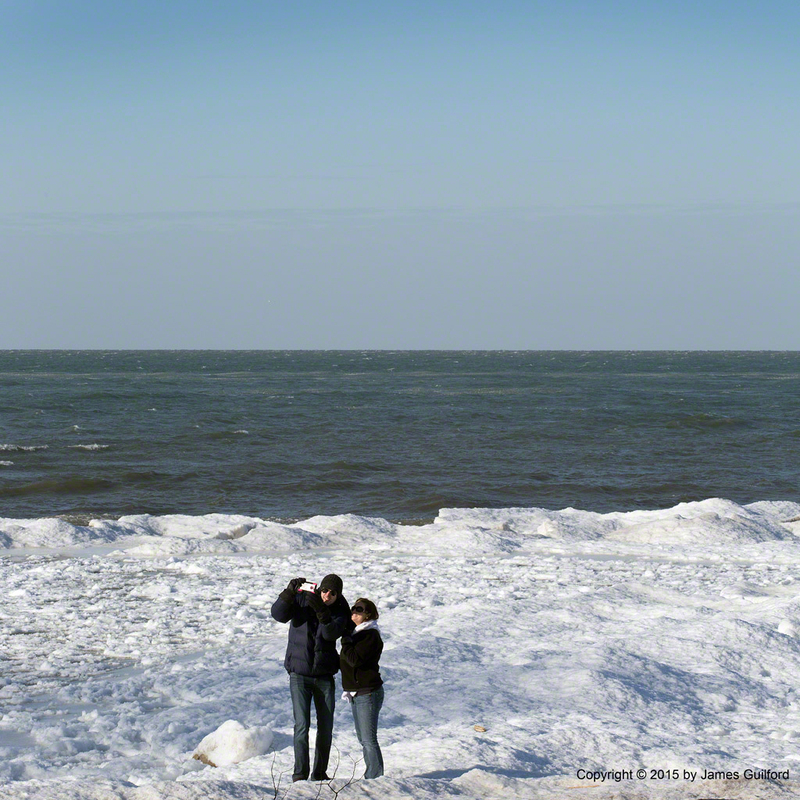 Briefly checking in at Vermilion’s downtown beach, I spotted a couple from Arkansas standing upon the ice (safely over sand, not water) shooting a “selfie” photograph. I wish them, and you, a happy and healthy new year!